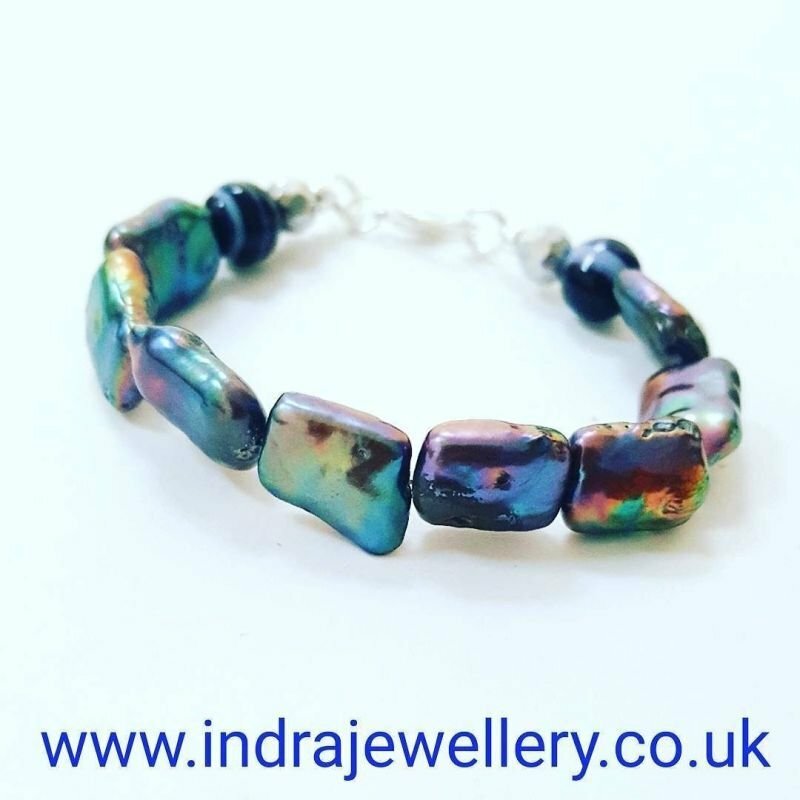 This is a really pretty little bracelet, made with rectangular peacock pearls which naturally are a rainbow of colours, I have added purple striped agate beads to the ends to finish. This bracelet makes a perfect little gift which is affordable, pretty and unusual. Pearl, the "Stone of Truth, Faith and Love," enhances personal integrity and helps provide focus and deep meaning to the object of your attention, bringing you wisdom and spiritual guidance. Pearl signifies sincerity, faith and loyalty to your cause.